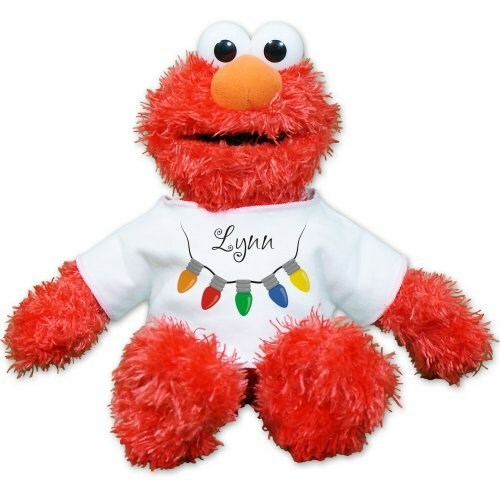 Elmo brings a bright and cheery feeling during the holidays with his festive look and cuddly feel. He is wearing a t-shirt with a joyful design and is ready to celebrate Christmas with you and your loved ones. Elmo is filled with beans at the bottom to make the perfect sitting pal. Along with the super soft, silky fur, Elmo measures approx. 12”. Free personalization of any name is included. Free Gift Wrapping and a Free Gift Card are included to create a thoughtful presentation.